All States Car Transport USA Thinking of Closed Container Auto Shipping? 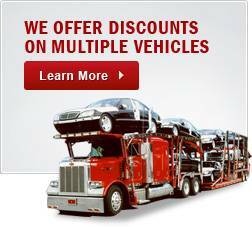 All States Car Transport USA / auto shipping / Thinking of Closed Container Auto Shipping? The process of raising up a car and then lowering it down is totally different when it is done in an open carrier or in a closed container auto shipping. The difference is so drastically that to place a single car on a closed container can take as long as doing the same with two dozen of cars on an open platform (a process that usually takes two hours). It is for this reason that both companies and customers often prefer open carriers. In the following paragraphs, we will see the advantages and disadvantages of each option. Existing container terminals are not adapted for handling cars and special areas have to be separately provided for the process and for the storage of relevant hardware. Separate and remote areas are also required to ensure the safety of client property. Container carriers manage about half of the number of cars an open carrier does. The vehicle must be professionally handled and secured inside the closed container auto shipping to ensure its safety. It is this careful handling and thorough familiarity of the special equipment used in the process that the security of the vehicle relies on. The container used should be specifically designed not only for a car, but in some cases, even to the model of the car. If it is not, securing it inside the container becomes a very complicated affair. No matter, it still requires careful maneuvering to secure the vehicle within the container. This initial process of loading is where most of the damage to the vehicle will occur, discovered only upon unloading at its destination. In the open container, as contrasted to the closed, most of the damage is due from unauthorized access by persons of nefarious intent. Because the open container is easily accessible, vandalism can occur from even outside the platforms. Cars have arrived with bullet holes, probably not from a hunting accident. The interior of a closed container auto shipping is not totally impervious to access by those people intent on doing it harm, but it does make the task much more difficult for them. Crossing a border into a foreign country is difficult if not impossible for long open-carrier trains. Not every country has the same technology and equipment to handle the situation, and when they do, the varying documentation mandated from country to country may cause shipping delays. If long trains are loaded from manufacturing plants deep within foreign lands, when they reach the border of another country, the vehicles will have to be unloaded from the existing truck and loaded onto carriers capable of their transport on the other side of the border. This process opens up the vehicles to damage and theft. Again, the shipment is delayed. Trans-Pack is an innovative technological advancement meant to solve such problems. This invention is not available everywhere, however. Not all countries offer closed container auto shipping to any degree. The All States Car Transport systems allows for an increase in the number of vehicles loaded into closed containers and cuts costs of transport by around 25%. It offers no-damage loading and unloading of cargo. 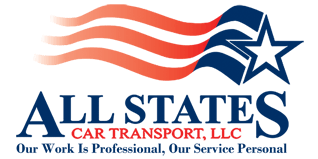 All States Car Transport containers are much safer against accidents than the old-fashioned type of containers. They are also much less time consuming to load and unload. There are standard systems in place for securing the vehicles which also decrease costs and promotes safety. Thinking of Closed Container Auto Shipping? Overall rating:	4.7	out of 5 based on 9	reviews.